Deadline is May 5, 2019 at 11:59 pm. To be eligible, students must be admitted to the UO as a new or returning student for fall 2019, or currently enrolled at the UO; be a first-generation college student; be able to show financial need; be ineligible for federal financial aid. This is a one-year award that ranges from $5,000 – $9,000. 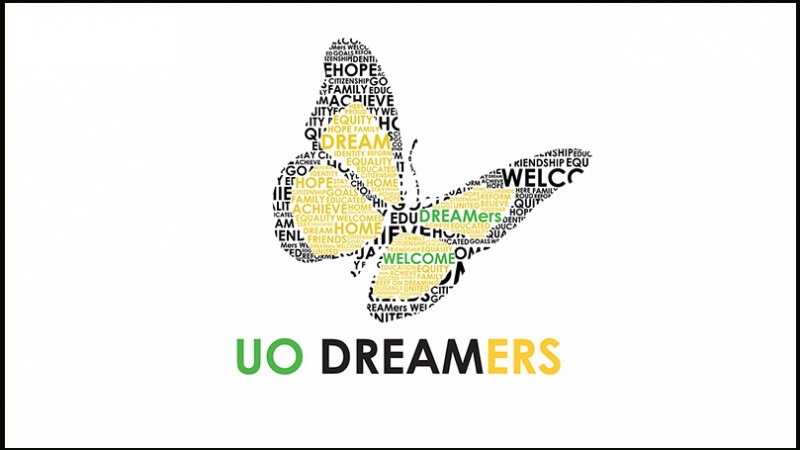 Contact Justine Carpenter for more information about this scholarship and other resources available to Dreamer and undocumented students at the University of Oregon. In spring 2018, change came to the Bethel neighborhood in Eugene. Royal Elizabeth Park received a new name: Andrea Ortiz Park, after Eugene’s first Latina city councilor. Ortiz served from 2004 to 2012 and died in 2017. The renaming followed years of outreach to the Latino community by Sandoval, a supporter of the city’s efforts to make parks more inclusive. Through the Latino Civic Participation Project, he led an initiative to involve low-income, marginalized groups in community development, public policy, and planning. Sandoval will continue his outreach and research efforts with the new Access and Equity Research Group. 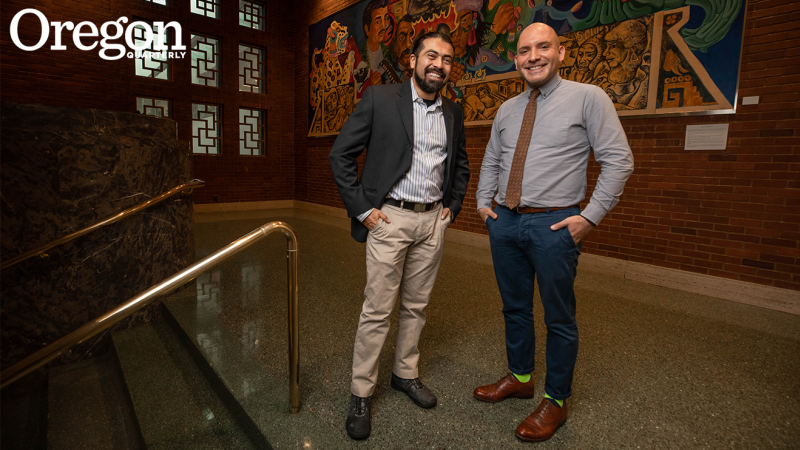 The group includes José Meléndez, an expert in equitable public engagement and transformative learning who joined PPPM as an assistant professor in 2018; and John Arroyo, an MIT-trained urban planner who will arrive this fall after completing his Andrew W. Mellon Foundation Fellowship in Latino Studies at the School for Advanced Research in Santa Fe. In addition to Latinos, the group will study underrepresented indigenous, Asian American, and African American communities, and will examine the links between communities and the design, planning, and management of public space. In particular, the group will focus on “participatory action research,” which emphasizes partnering with communities to solve problems. “Many of us use qualitative methods that help elucidate stories and deeper context of the communities we research such as ethnography, in-depth interviews, oral histories, and content analysis of archival and current policy and legal documents,” Arroyo says. Like Sandoval, Meléndez and Arroyo have worked with Latino communities. 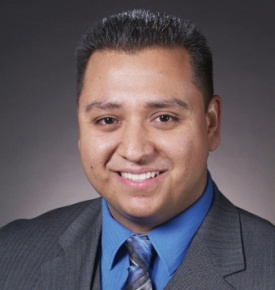 During his doctoral studies and then as a postdoctoral fellow at the University of Illinois at Chicago, Meléndez investigated the budgeting process in the city’s 49th Ward, finding that Spanish-speaking Latino immigrants struggled to participate due to a language barrier. He partnered with the community to create a Spanish language committee that significantly increased and sustained the participation of its members in civic decision-making. As a fellow, Arroyo is studying Latino immigrants with his first book project, Shadow Suburbanism: Mexican Everyday Life, Fear, and Space in Greater Atlanta. He is analyzing how Mexican immigrants reshape their suburban environments despite rising anti-immigration policies that distress one of the South’s fastest growing populations. Meléndez and Arroyo will also continue their research and outreach to Latino communities in Oregon, where that population is growing rapidly. According to the Latino Civic Participation Project, Latinos now make up 14 percent of the state population and 20 percent of the K–12 population. April 3, 2019—Gabriela Pérez Báez, a new assistant professor in linguistics at Oregon who specializes in the revitalization of indigenous languages, is codirector of the National Breath of Life Archival Institute for Indigenous Languages, which trains Native American community researchers to navigate massive physical and digital archival repositories such as the National Anthropological Archives. The documents and other resources held in these collections are of great value for cultural and linguistic revitalization. Pérez Báez and Breath of Life codirector Daryl Baldwin of the Myaamia Center at Miami University recently received $311,641 from the National Endowment for the Humanities to provide training to Native researchers on the use of powerful new archival software—the Indigenous Languages Digital Archive (ILDA). Users of ILDA can instantly search tens of thousands of digital records on a query.